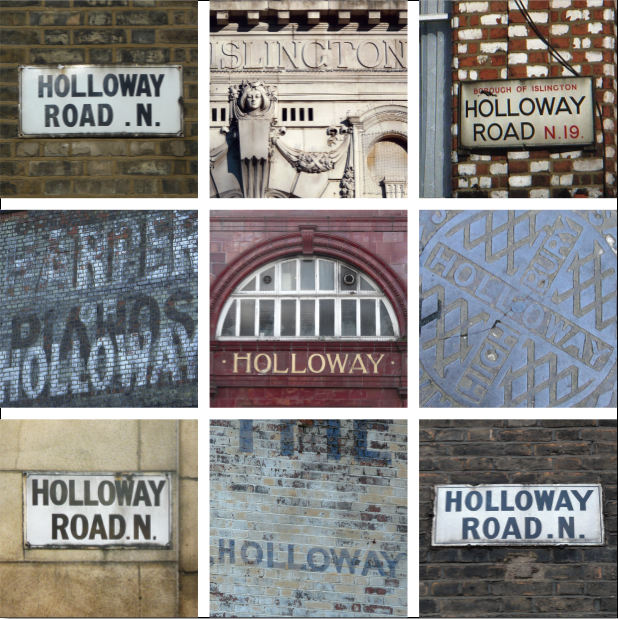 This Sunday 1st June sees the start of my local arts festival in Holloway. Organised by Rowan Arts, it's jam-packed of things to do and see. I'm involved this year and as well as being one of the featured photographers on show at The Postcards From Holloway exhibition I have produced smaller mounted prints and collections as per the one below, echoing the groups I put together here on Jane's London, and these will be for sale from my stall at the Hornsey Street Festival and the Big Day Out in Whittington Park on Sunday 8th.